Compact ride-on vacuum sweeper with unique Tact filter clean technology for constantly high dust control. With Subaru 9 hp petrol engine. The KM 90/60 R P Adv brings new technology to ride-on sweepers. 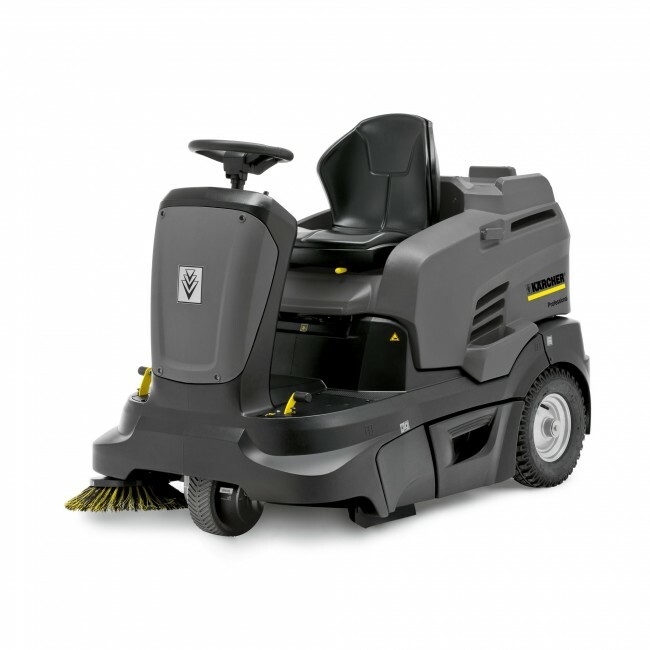 Kärcher's unique Tact filter clean system has been proven in dust extractor vacuums, and now provides constantly high suction performance on a sweeper for the first time. The Tact system automatically backflushes the dust filter to prevent it from blocking, meaning the KM 90/60 R P Adv always works at its maximum and provides unrivalled dust extraction capabilities. 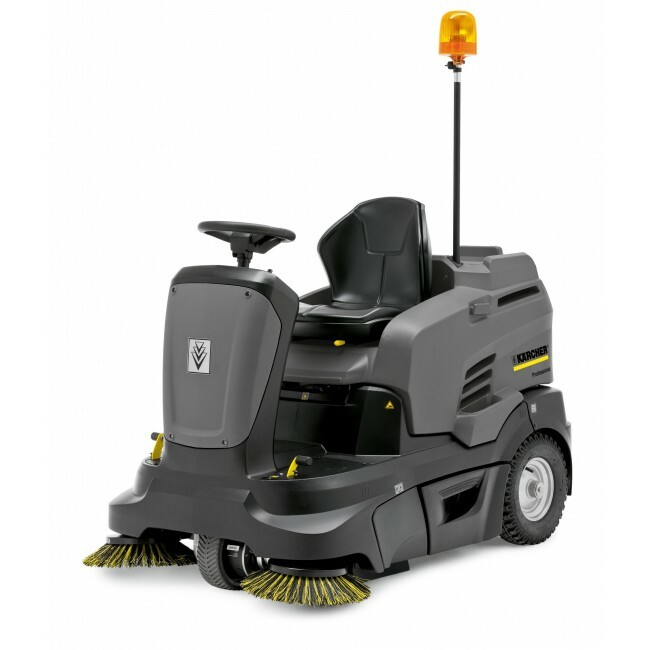 Featuring simple controls, 60 litre dirt capacity, excellent visibility and a Subaru Robin 9 hp engine, the KM 90/60 R P Adv is easy and convenient to operate and offers excellent productivity for outdoor sweeping tasks.